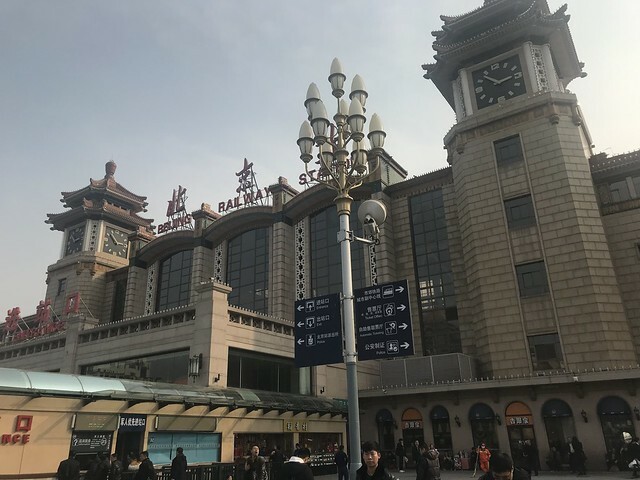 Beijing Railway Station is a station on Line 2 of the Beijing Subway. For more details view the ExploreBeijing interactive Subway map centered on this station. Really Good Supermarket With Fresh Produce And Seafood Located In The Henderson Building. Take The Entrance By Starbucks. Supermarket located right next to MiniSo 1 level down from Starbucks. Last days in China and then we boarded the Trans Mongolia Express.